Amsterdam, Netherlands: (AP) — To see some of the most important documents in the early New York history, you need to go to Amsterdam. The Netherlands' national museum, the Rijksmuseum, has just put those documents on display. The exhibit marks the 400th anniversary of Henry Hudson's 1609 expedition that would lead to colonization of the New York area. Included are the first map of Manhattan dated 1614. Also included is the only report of the European purchase of Manhattan. Hudson was working for the Netherlands' Far East Indies Company and was looking for a new route to Asia. During his search, he sailed up today's Hudson River. Those discoveries led to further Dutch expeditions to capitalize on trading fur with indigenous tribes. 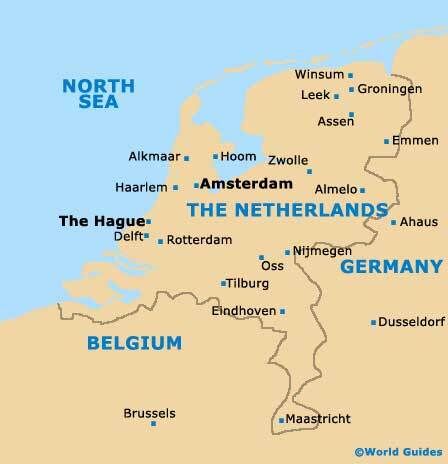 Dutch settlers formed a colony they called the "New Netherlands" and chose the island as an ideal trading post and capital. They acquired it from natives in 1625 and dubbed it "New Amsterdam" — a name which stuck until the British conquered the area in 1664 and changed it to New York. The only record of the Dutch purchase is the so-called "Schaghen Letter," sometimes referred to as New York's "birth certificate." It is a 1626 report by Dutch bureaucrat Pieter Schaghen who interviewed a ship captain returning from the colony. The captain told him that colonists had purchased an island called "Manna Hatta" for 60 guilders worth of goods. Rijksmuseum Curator Martine Gosselink said native Americans would have viewed the trade as more of a rental contract — but the rest is history. "American textbooks usually dismiss the goods as beads and mirrors worth only $24, but 60 guilders at that time was more like a year's salary for a soldier," she said. "The goods they gave included knives, chisels, pots, kettles, and blankets in addition to shells" and other trinkets. Hudson returned to the Americas in 1610 in search of a "Northwest Passage" to Asia through modern Canada. After spending a winter with their ship trapped in the ice, Hudson's crew mutinied in 1611 when he wanted to continue exploring. Survivors said Hudson, his teenage son and eight others who didn't join the mutiny were set adrift somewhere in today's Hudson's Bay. They were never seen again. The Rijksmuseum documents are on display through June. They will move to New York's South Street Seaport Museum in September.